How many Hutongs are there in Beijing? There is a common saying in China which goes “360 Hutongs are named, while Hutongs without names are as plentiful as blackberries.” It is a little bit of an exaggeration but it reflects just how many Hutongs are scattered throughout the city. It is said that Beijing was constituted from numerous Hutongs but this is in fact just an old rumour. Nowadays, Beijing is definitely a more modern city. Many Hutongs in Beijing have been removed and substituted by various modern buildings. With this in mind, the surviving Hutongs are even more precious. The history of Hutongs in Beijing can be traced back by more than 800 years. 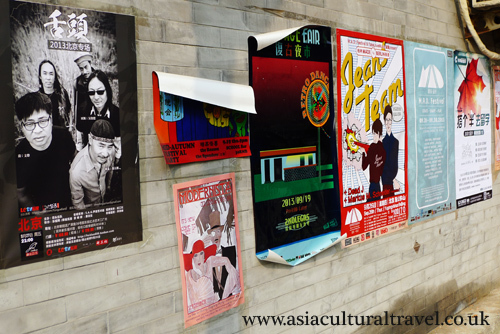 They act as a time capsule and thus show the historical and cultural development of Beijing. Hutongs are more than just traffic lanes; they are also people’s homes. So they make a heavy imprint on their inhabitant’s social lives, and help to preserve original and authentic customs and habits of old Beijing. Walking in the Hutongs, you would feel as if you were in a magical world: the quiet, long lanes flanked by thick locust trees, the pigeons swirling and whistling in the breeze, the loud shouts of peddlers on the street, the old quadrangle courtyards (si he yuan 四合院), the mansions, the former homes of celebrities, the guild halls and the temples would all transport you back to life in old Beijing. There are numerous definitions of the term Hutong, which makes it difficult to determine an explicit definition of the word. Even as early as the Ming Dynasty (1368-1644) and the Qing Dynasty (1644-1911), many scholars had already begun studying the meaning of the word. They believed that the word “Hutong” came from Mongolian. Some scholars proposed a theory known as the “water well” theory. They stated that the word derived its pronunciation from the Mongolian word for “water well”. Some scholars thought it came from the word “Huotuan”, which describes a type of passageway designed to separate houses and prevent fire. And some posited that the Mongolian words “Hudu” or “Hudun”, meaning “camp” or “village”, were later applied to a small street and then corrupted into the word “Hutong”. Hutongs are often named after buildings, figures, animals, plants, shapes, food, clothing and other things related to daily life. In the Qing Dynasty, there were totally 2,077 Hutongs; in 1944 there were 3,200 Hutongs; while in 2007, just about 1,500 Hutongs remained. Thsounds of people visit Hutongs every day. It is hard to say good or bad. 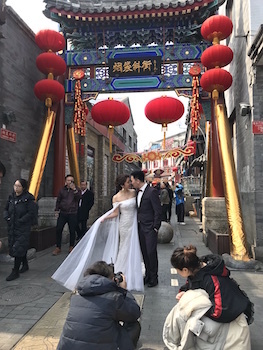 The attraction of Hutongs makes the government to think about the prevention of them, while the tourism is eroding the original appearance of Hutong. 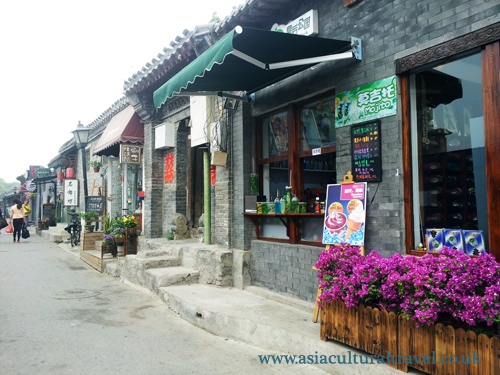 But luckily most tourists flock into several most popular and most beautiful Hutong districts. There are still many quiet and original Hutongs existing. And residents are still enjoying their normal but peaceful life there. 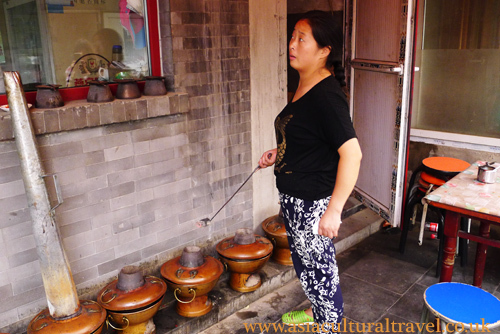 You can also find several kinds of traditional snacks in the Hutongs. There are many small and simple restaurants there, which are visited mostly by locals rather than tourists. The food is cheap, but nice. The most popular dish is called Beijing-style Hotpot. It is different from Sichuan-style Hotpot in that the soup is not spicy. The main ingredient used in the pot is lamb. People in Beijing prefer the fresh and untainted taste of the lamb, and so this dish does not contain many spices or other flavourings. No one knows how long the way of life and culture in the Hutongs will last. Young people are moving out of the Hutongs and into the modern apartment blocks all the time. Some young people are coming in from outside of Beijing, bringing a new, fashionable way of life with them. The new and the old styles of living are colliding, but they are also mixing. This is one of the most popular tourist attractions in Beijing today. If you go there during a public holiday, you won’t be able to see anything but the crowds. Thank Goodness it is not so busy on a normal weekday. Nanluogu Alley was built at the same time as the capital city of Dadu during the Yuan Dynasty (1271-1368). 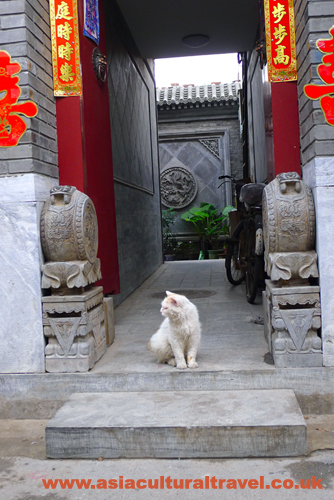 Nowadays it is the only well preserved Hutong District that was built during the Yuan Dynasty. It is perhaps the largest chessboard-like traditional residential area in China. During the Ming Dynasty (1368-1644) and the Qing Dynasty (1644-1911), many noble lords, high-ranking officials and celebrities lived there. So you can find many grand and amazing mansions in different Hutongs there. From north to south Nanluogu Alley is 800 meters in length. There are eight Hutongs distributed on both the west and east sides respectively, creating a fishbone shape, or a centipede shape. Thus, Nanluogu Alley is also known as Centipede Alley. 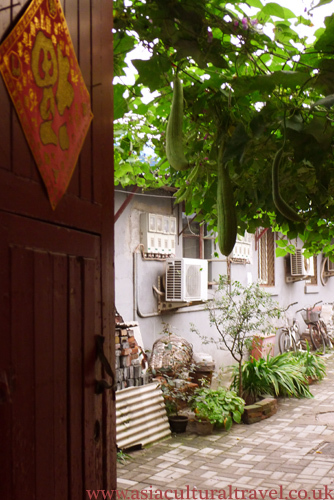 Walking northward along Nanluogu Alley, the third Hutong you will find is East Mianhua Hutong. (Strange name: why not name it Dong (means east) Mianhua (means cotton) Hutong, or East Cotton Hutong?) 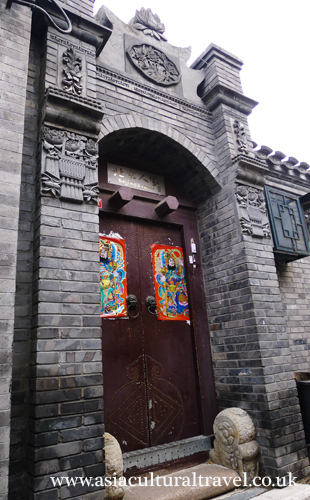 The building for the Central Academy of Drama, the place where thousands of young people dream to study, is the most famous building in this Hutong. Opposite to the East Mianhua Hutong is the Yu’er Hutong. Courtyard no. 13 was once the home of Qi Baishi – a master of traditional Chinese painting. Now the houses belong to the Beijing Artists’ Association. 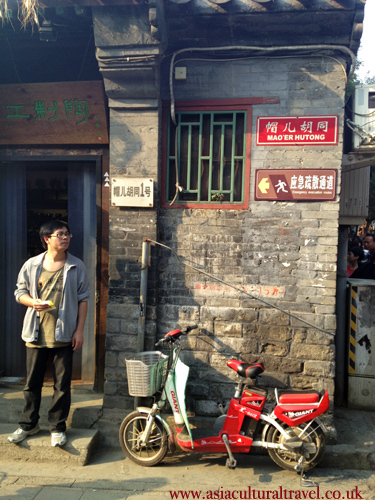 Continuing northward along Nanluogu Alley, you will find Mao’er Hutong on the west side. Courtyards No. 7 to No. 15 were the residence and gardens of Wen Yu – a grand secretary during the Qing Dynasty. The garden was named Keyuan and had the highest artistic value of all the various private gardens in Beijing during the late Qing Dynasty. If you walk out of Mao’er Hutong and keep moving northward, you will reach Qinlao Hutong on the east side of the road. Courtyard No. 35 is an elegant courtyard and was once the mansion of Suojia – the General Chancellor of the Imperial Household Department during the Qing Dynasty. There is a garden called Qiyuan in the courtyard, which is designed based on the prospect of a garden in the Yangtze Delta. Ju’er Hutong is located to the east of the northernmost part of Nanluogu Alley. At the beginning of the 90s, there was a project in Ju’er Hutong which focused on the renovation of unsafe houses there. The project was awarded an Asia Architecture Gold Medal by the Architects Regional Council of Asia in 1992 and won the World Habitat Award in 1993. 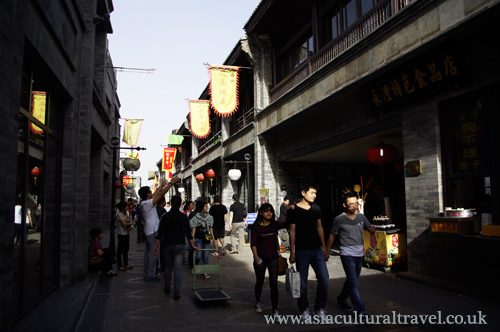 Today, if you come to visit Nanluogu Alley, you will find it is now a much more modern place and it is no longer an ancient, traditional Chinese tourist attraction. There are many interesting shops and bars there. 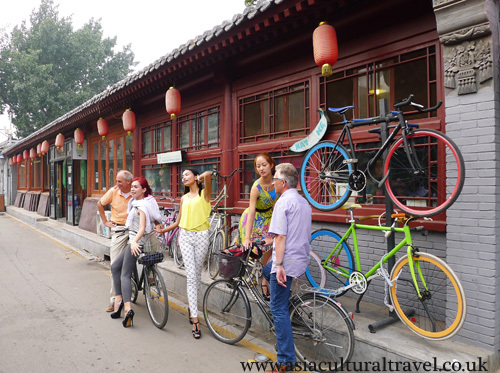 It seems that now Nanluogu alley attracts more foreign tourists than domestic visitors. The craft workshops seem to be the most popular, for example, the embroidered shoe workshop and the oiled-paper umbrella workshop. Shicha Lake is one of the oldest and most beautiful places in Beijing. In recent years, it has become one of the most popular places for both tourists and local people to visit due to its fantastic and unique view of the many modern and vibrant bars, which have been set up in ancient houses along the lake and the neighbouring old bridges, temples and mansions. A tall memorial archway with a horizontal board inscribed “Lotus Market” is erected on the southern end of Shicha Lake, which is also considered the entrance to this famous district. During the Ming Dynasty (1368 – 1644) and the Qing Dynasty (1644 – 1911), this place was used by Beijing locals to escape the summer heat. A huge stone stands not far from the memorial archway with the words “Story of Shicha Lake” engraved on it. There is a Hutong named Baimi Xiejie near Shicha Lake. Courtyard no. 11 in this Hutong was the property of Zhang Zhidong, an important chancellor and leader of the Westernization Group during the late Qing Dynasty. In the late 19th century, the authority of the Qing imperials was gradually declining. A group of patriotic and royal officials tried to revive the country’s loyalty using a variety of methods. Zhang Zhidong was one of them. He pioneered a Westernization theory where he posited that “Chinese learning should be used as a base, while Western learning should be used for practical application”. At the time, this theory had far-reaching influence. What’s more, he tried to change some of China’s backward ways by training military forces, building railways, establishing schools, setting up factories and developing industries. His efforts actually produced some real results in terms of the development of the country. The mansion of Zhang Zhidong once covered a large area. The most distinctive buildings in his mansion used to be three small houses, which were parallel with the lake and the flower hall in front of the Bell Tower. All of the buildings in the courtyard used to be connected by corridors. Now it is difficult to believe it was once an ancient property with a royal occupant. The whole mansion has been divided into many small yards and small apartments for citizens to live in. The original stone for mounting a horse and the horoscope walls outside the door of the front courtyard have all been lost. Only a tall screen wall still stands in the corner of the Hutong, a vague remnant of its past glory. Dianmenwai Street, to the east of Baimi Xiejie, is in the northern section of the central axis in Beijing City. Standing on Wanning Bridge, you will see the majestic Drum Tower to the north and the main peak of Jingshan Hill to the south. To the west of the road, north of Wanning Bridge, is the Fire God Taoist Temple, which was built during the Tang Dynasty (618 – 907). Walking north from the temple, you will reach the east entrance of Yandai Xiejie, which is the most famous Hutong in the Shicha Lake district. Yandai Xiejie was called Fishing Hall Xiejie in the early Ming Dynasty. It was later renamed Drum Tower Xiejie and then finally it was given the current name Yandai Xiejie. There are several potential explanations for this name. Some people say that the “Man” People (the royal ethnic group that formed the Qing Dynasty) liked smoking, so much that many stores selling tobacco and tobacco bags (called “yandai” in Chinese) were opened on this street. As a result, this street developed a reputation for selling smoking products and was given the name Yandai Xiejie. Other people say that the name was just based on the Hutong’s shape. The eastern entrance is like the mouth of a tobacco bag, the middle part is like the tobacco pipe, and the open area at the west entrance is like the bowl of a tobacco bag. In fact the area near the Drum Tower has been a famous retail district since the Yuan Dynasty (1271 – 1368). So you can find a wide range of tea houses, wine houses, restaurants, antique shops and other businesses in Yandai Xiejie. In Yandai Xiejie, there is also a well-preserved Taoist temple named Guangfu Taoist Temple, which has over 500 years of history. 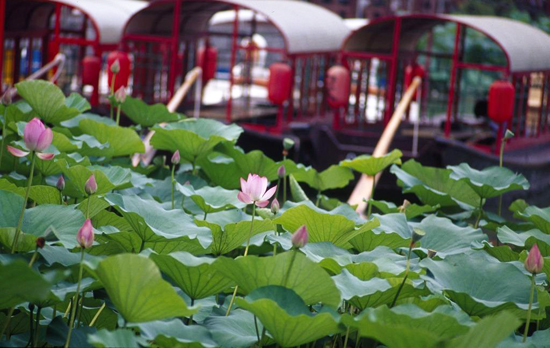 Walking out of the western end of Yandai Xiejie, you’ll find yourself back at Shicha Lake. This is the northern shore of the lake, which is connected to the southern shore by a famous stone bridge called Yindian Bridge (“yindian” meaning “silver ingot” in Chinese). Shicha Lake is divided into Qianhai Lake (“qianhai” meaning “front part of the lake” in Chinese) and Houhai Lake (“houhai” meaning “back part of the lake”). Located between these two lakes, Yindian Bridge is a white stone bridge with a single arch and gets its name from its silver-ingot-like shape. Another fun way to experience the culture in this area is to try some of the time-honoured Beijing snacks that can be found on the north bank of Houhai Lake. Please try to remember these brand names: Xiaochang Chen, Dalian Huoshao, Baodu Feng, Nailao Wei, Chatang Li, Yueshengzhai, Xianbing Zhou, Deshunzhai, Niangao Qian, Yangtou Ma, Doufunao Bai and Enyuanju. You may notice that most of them are the names of different types of food with a family name added onto them. Of course the attached family name shows that they all follow a particular, old family recipe for that dish which has been passed down for several generations. When talking about Hutongs, you cannot avoid mentioning Dashilan, even though the Hutongs in this district have changed a lot. Dashilan (meaning “large fence”) is a famous commercial district located outside of the Front Gate, to the south of Tiananmen Square and to the west of Qianmen Street. When Beijing was chosen as the capital of the Ming Dynasty, there were not as many residents and the city had fewer streets. The Front Gate was the old entrance to Beijing’s inner city. At that time, in order to develop business in Beijing, the imperial court ordered artisans and labourers to build storehouses in the areas surrounding the Bell Tower, the Drum Tower and the Gate with provisions from the government, to attract business and investments. Most of the storehouses were used to stock goods and thus were called Langfang (meaning “corridor house” in Chinese). Even now you will find some Hutongs outside of the Front Gate that still bear the name Langfang, such as Langfang toutiao and Langfang ertiao. Business in this area developed quickly, especially in Langfang sitiao Street, which was the original name of Dashilan Street. During the reign of Emperor Jiajing of the Ming Dynasty (1368-1644), the outer city was built and the population increased sharply, driving the development of commerce even further. Fences were put around the entrances of many Hutongs to strengthen public security. Langfang sitiao had the most shops and stores on it, so many tall, firm fences were put around it, which is where it derived the name Dashilan. After hundreds of years’ of development, Dashilan and the Front Gate business district had become a place of great prosperity and many of Beijing’s time-honoured brands came from there. To illustrate this, there is a jingle in old Beijing which goes, “Majuyuan on the head, Neiliansheng on the feet, Badaxiang on the body and Sidaheng in the pocket.” Majuyuan and Neiliansheng were shops that specialised in hats and shoes. Badaxiang was a well-known silk fabric shop. Sidaheng was a private bank. You can still find these shops there nowadays and most of them maintain their old style of doing business, with the exception of Sidaheng bank. 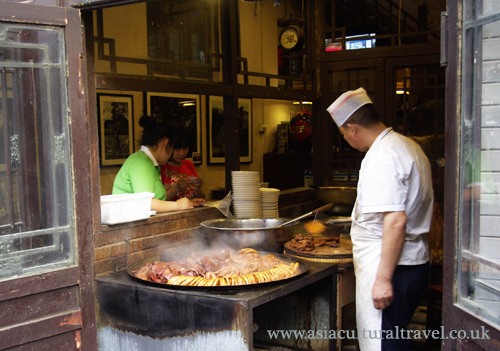 As a famous business district, of course Dashilan has a lot of famous and traditional restaurants and snack shops, each with their own signature dishes. There you will find such delicacies as the Beijing duck of Quanjude, the steamed pork dumplings (shumai) of Duyichu, the vegetarian dishes of Gongdelin, the braised pork in soy sauce from Yueshengzhai, the cakes and snacks from Juqingzhai, the dried fruits of Changshengkui, and the pickles of Liubiju, to name but a few. Apart from these, Zhangyiyuan is famous for its tea and Tongrentang is famous for its traditional Chinese medicines. There are also many places you can go to for entertainment and recreation, such as Guangdelou Theatre (which is very popular now because of its Xiangsheng performance), Qingleyuan Theatre, Sangqingyuan Theatre, Huangheyuan Theatre, Tongleyuan Theatre, and Daguanlou Cinema, where the first Chinese movie, “Dingjun Mountain”, was premiered. The Front Gate high street was rebuilt in 2008. You can see beautiful and magnificent new buildings there which were done in the old architectural style, instead of real old buildings. 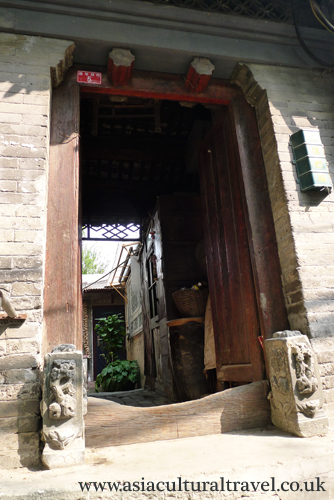 But if you go into the Hutongs on the sides of the main street, you can still find real old houses and old Hutongs. After all this time, the famous shops in Dashilan Business Street have so far still managed to keep their original appearance. But who knows what will happen in the future? In the beginning, Dongsi was a place where four decorated archways were located in the east of Beijing City. It was originally called Dongsi Pailou for short (“dong” means “east” in Chinese, “si” means “four”, and “pailou” means “decorated archway”). The name was gradually shortened even further and finally it came to be known as Dongsi. 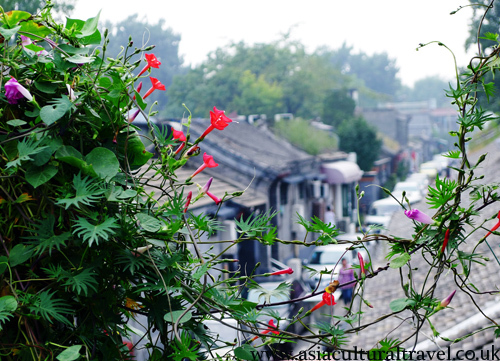 If you want to see a “real Hutong”, you cannot afford to miss this district. In fact, Dongsi is very near the famous Nanluogu Alley and Shichahai Lake, but, for whatever reason, it attracts fewer tourists. The Hutongs in the Dongsi district always have names that contain the word “tiao”. Take one underground station’s name for example – Dongsi shitiao. Its name refers to the tenth Hutong in the district where the four decorated archways are located in the east of Beijing City (“shi” means “ten” in Chinese). First there was Dongsi toutiao Hutong (“tou” means “the first” in Chinese) right through to Dongsi sitiao Hutong (“si” meaning “four”) during the Ming Dynasty (1368-1644). During the reign of the Emperor Qianlong of the Qing Dynasty (1644-1911), Hutongs in this area were increased so that they went from Dongsi toutiao right through to Dongsi shiyitiao (“shiyi” means “eleventh” in Chinese), with all of them heading further and further north. In the early 20th century, during the reign of Emperor Xuantong of the Qing Dynasty, the hutong originally known as Guan’er Hutong became Dongsi shi’ertiao Hutong (“shi’er” means “twelfth”). In the 1960s, two more Hutongs joined the group and were given the names Dongsi shisantiao (“shisan” means “thirteenth”) and Dongsi shisitiao (“shisi” means “fourteenth”). Among these fourteen Hutongs, Dongsi shitiao has been subject to the greatest change. Due to the development of urban construction, this small Hutong has been widened into a large road, which divides all of the other Dongsi Hutongs into northern and southern sections. The nine Hutongs that make up the southern section have more interesting stories behind them. The first Hutong, Dongsi toutiao Hutong, is the shortest one among these nine Hutongs and it is referred to as a “blind” Hutong. During the Ming Dynasty, Dongsi toutiao was longer than Dongsi er’tiao (“er” means “second”) and had a turn along its road. It ran from west to east and then, at Yanfu Palace, it turned towards the south. To the east, there was an open space beside the Hutong. During the reign of Emperor Yongzheng of the Qing Dynasty, the mansion of Hongxiao was built in this open space for Prince Yi. After several generations, during the reign of Emperor Tongzhi of the Qing Dynasty, it was occupied by Prince Fu. Prince Fu was the ninth son of Emperor Daoguang, so his mansion was also called the “Jiuye Residence” (“jiu” means “nine”). This mansion was a typical example of the kind of residence occupied by princes. Its layout adhered completely to the specific standards for a prince’s mansion, which were specified in the “Record of Laws and Systems” set down by the Qing Dynasty. In the 1960s, a new building belonging to the Ministry of Foreign Affairs was built to the west of Prince Fu’s mansion, which meant that Dongsi toutiao Hutong was greatly shortened and thus made into a “blind” Hutong. In part because of this and in part because of the positioning of Prince Fu’s residence, Dongsi ertiao has also been halved. One section of it now has to turn north, meaning it enters the middle section of Dongsi santiao (“san” means “third”). The Dongsi district has a long history behind it and, in the past, plenty of famous mansions and houses have been built there. Not far from the eastern entrance of Dongsi sitiao, on the northern side of the road, there is a house that seems somehow special because of its high steps. Originally this house, together with the houses in courtyards No.1 and No.3, were owned by Mianyi, who was the vice minister of the Ministry of Rites during the reign of the Qing Emperor Tongzhi. Mianyi was the royal relative of Emperor Daoguang and had the same family name. Thus this mansion was called “the house of the emperor’s uncle”. Although it had a small front gate, the house had a three-door courtyard with a regular layout. Another mansion of note is Chongli house in Dongsi liutiao (“liu” means “sixth”) which, when compared with Mianyi’s mansion, is better known and is the only private house listed as a historical and cultural site under the state protection of Beijing City. The houses in courtyards No. 63 and No.65 all belong to Chongli House in Dongsi liutiao, which commands a total area of 10,000km2. There is a large four-door courtyard in both the western and eastern parts of the residence, with a back gate that directly leads to Dongsi qitiao (“qi” means “seven”). There is a garden in the middle of the house, in which you will find artificial hills, pavilions and the Yueya River. In fact, although Chongli was an official of the imperial court during the late Qing Dynasty, he was an unaccomplished, mediocre man and he was only given his successful official position because of his noble son-in-law, who was the younger brother of Emperor Guangxu. There are numerous, fascinating stories behind these ancient Hutongs. Unfortunately, Dongsi Pailou was demolished in 1954. Now you can only find images of it in some old photographs. Guozijian was considered the greatest academic institute in China (like the Imperial Academy) during the Yuan, Ming and Qing Dynasties. There is a Confucian Temple just 500 metres away from Guozijian. Even now, many young students come here to pray before their big examinations, such as gaokao (the University entrance exam). Instead of shops and bars, tearooms are popular in this area. It may because Chinese people think that the tearoom is a more peaceful place and better related to their culture. Tearooms in this area seem very high class and are thus expensive. If you want to indulge in a little luxury, you can always go to one of these tearooms and choose to have a private room that has been delicately decorated in traditional Chinese style, where you can sample some of the finest quality teas. Otherwise you can also just sit in the courtyard or on the roof of the teahouse, and order a simple tea. This second scenario is much more like everyday life in Beijing. In fact the most famous place in this area is neither the Guozijian nor the Confucian Temple, but the Lama Temple, which is also the most famous temple in Beijing. So it’s unsurprising that many of the shops there sell religious paraphernalia and items used in prayer. 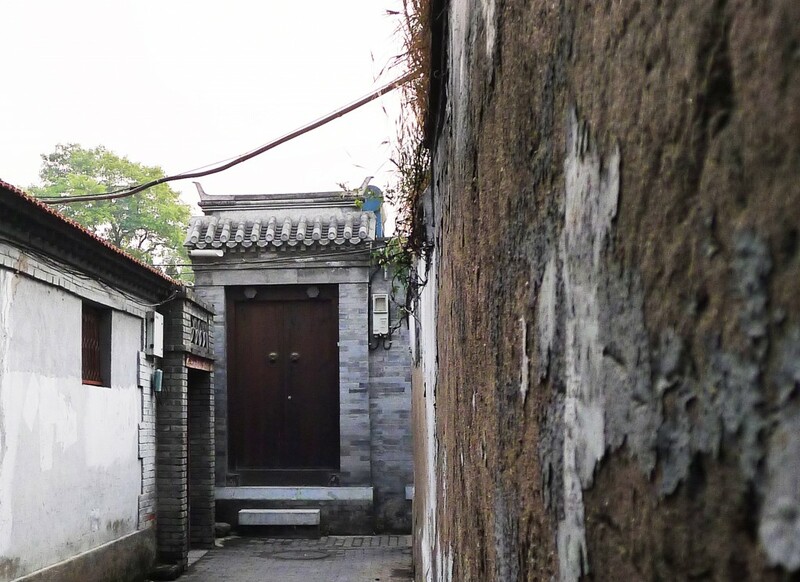 Among the numerous Hutongs in Beijing City, Zhuanta Hutong is one of the only ones that has not been subjected to change by outside forces. Zhuanta Hutong is located south of the Xisi T-junction in Xicheng District. It has hardly changed at all since its establishment over 700 years ago, during the Yuan Dynasty (1271-1368), and it has even kept its original name. 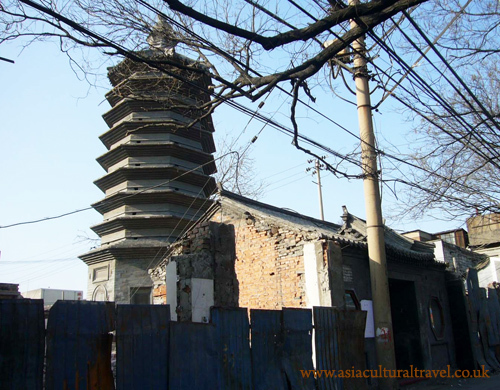 Zhuanta Hutong derived its name from the Wansong Laoren Pagoda that sits at its eastern entrance. Wansong Laoren’s real name was Cai Xingxiu and he was a famous master of Buddhism during the late Jin Dynasty (1115-1234) and early Yuan Dynasty. He put forward the idea of “governing the state with Confucianism and cultivating the mind with Buddhism”, which exerted far-reaching influence during that time. The pagoda was built as a memorial to Wansong Laoren after his Parinirvana2.. “Zhuan” means “brick” and “ta” means “pagoda”, so zhuanta is a pagoda made from bricks. Therefore, thanks to Laoren’s brick pagoda, the name Zhuanta Hutong was adopted and has survived to this day. It is the earliest Hutong to have been formally named. Zhuanta hutong has been famous since the Yuan Dynasty for its many Goulans3. Dramas, especially poetic dramas, boomed in popularity during the Yuan Dynasty. During the late Qing Dynasty (1644-1911), when the Eight-Power Allied Forces invaded Beijing City, theatrical troupes fled from Zhuanta Hutong. 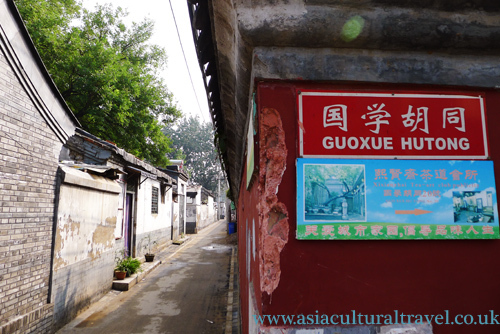 Gradually, Zhuanta Hutong was deserted and the Goulans were changed into folk houses. 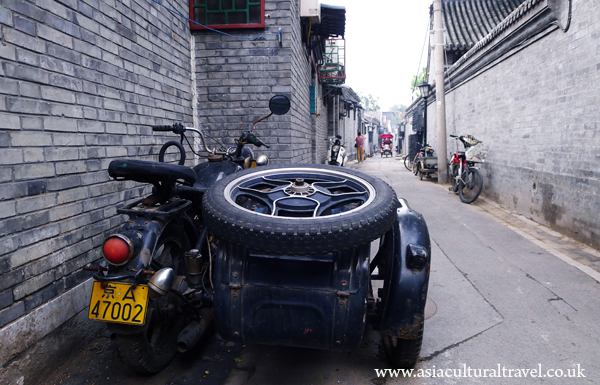 Apart from these famous areas, there are still many interesting Hutongs scattered around the old town. For example, on the south of Dashilan district, there are many small, interesting and well preserved Hutongs. Few tourists visit these Hutongs, perhaps because of their dirty and poverty stricken appearance. 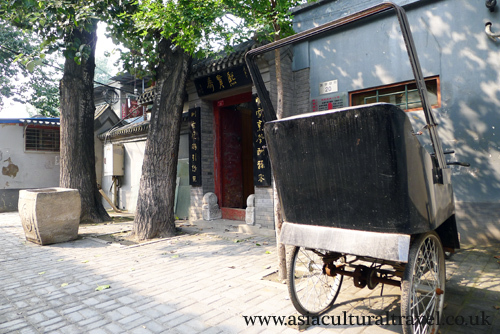 But it is a good place to observe proper Hutong architecture, since these Hutongs have always been places occupied by normal, working-class people throughout history. Ancestral Hall: It is a hall where a family can go to worship their ancestors. Parinirvana is a Buddhist term describing a Buddhist masters’ death after he has achieved Nirvana (the state of total enlightenment that is the aim of all Buddhist monks). Goulan: Similar to a theatre, it was a place used for performances. It was usually located in the markets (named Washi then) of ancient China. Next PostNext Whose hometown is in the dream?